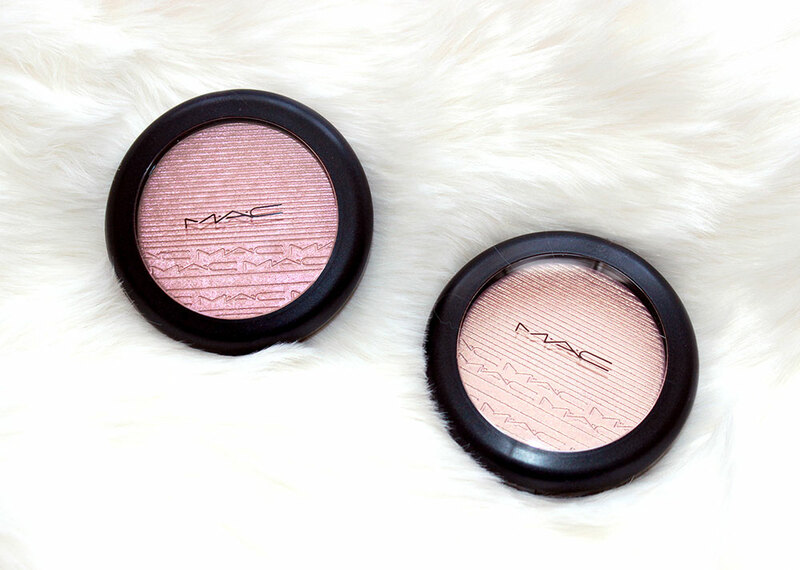 This winter, M·A·C brings us 4 permanent Extra Dimension Skinfinish, a liquid-powder highlighter with prismatic reflections designed to sculpt and highlight your face, leaving it luminous and well-defined. 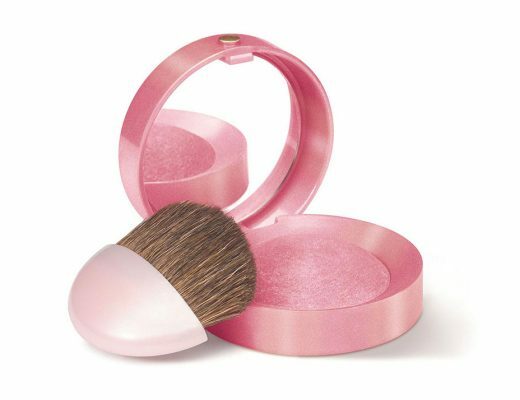 The M·A·C Extra Dimension Skinfinish comes in a black compact with a clear lid, the same size as MAC Mineralize Skinfinish. Unlike the MSF, the Extra Dimension Skinfinish is completely flat. You get 0.31 oz of product, versus 0.35 oz with the MSF. 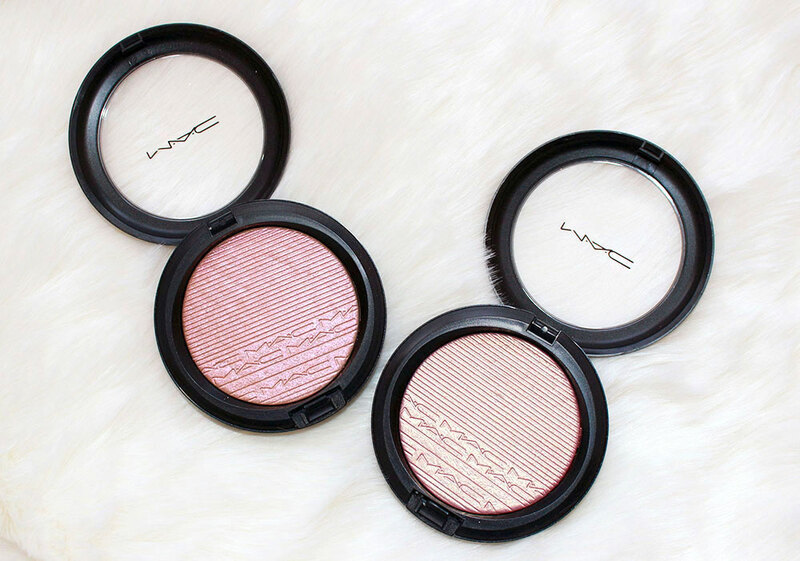 Beaming Blush, a “pink that breaks gold”, looked like a rose gold in the pan but showed up mostly gold on my NC20 skintone. 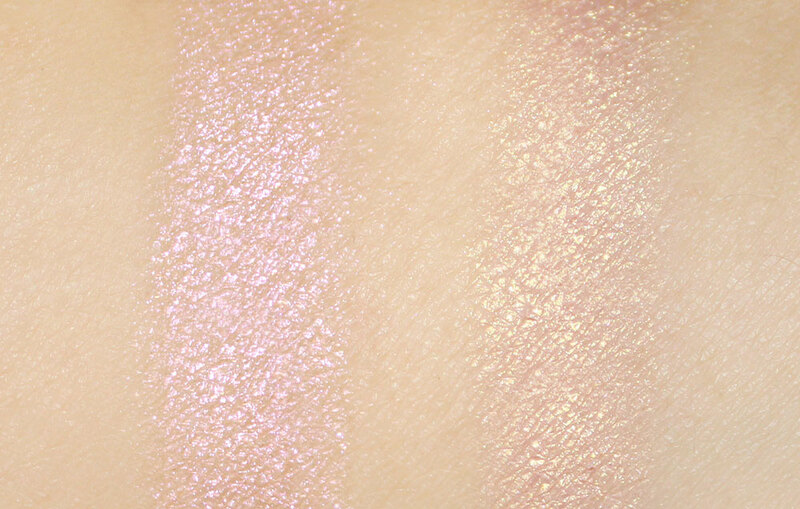 Show Gold, a “peach that breaks pink”, showed up more pink/salmony on me and was what I had hoped Beaming Blush to be. 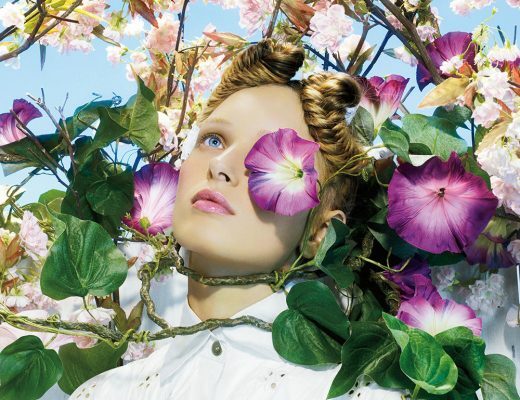 Both colors blended easily with great pigmentation and wear. 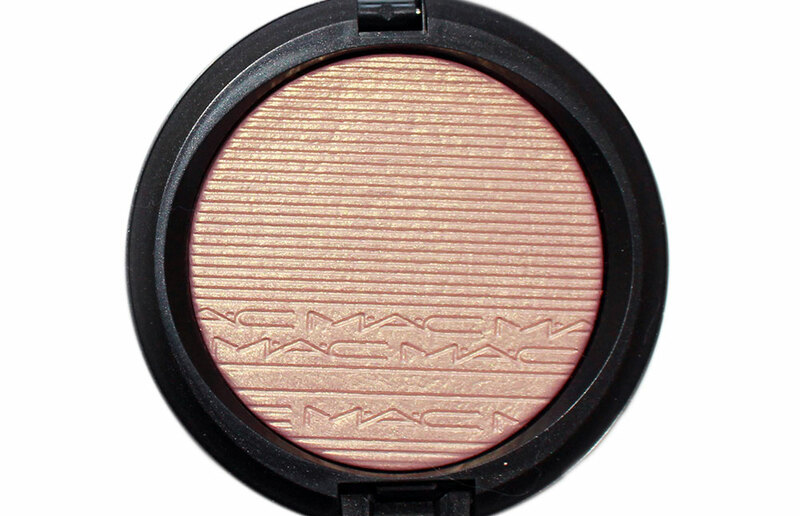 Texture-wise, Beaming Blush felt smoother and its metallic finish made it a perfect eyeshadow and highlighter. 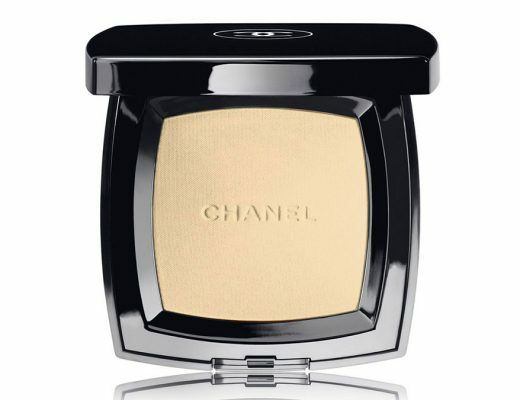 Show Gold, on the other hand, was semi-glittery and could accentuate skin texture for some. However, the color worked beautifully as a blush and eyeshadow. 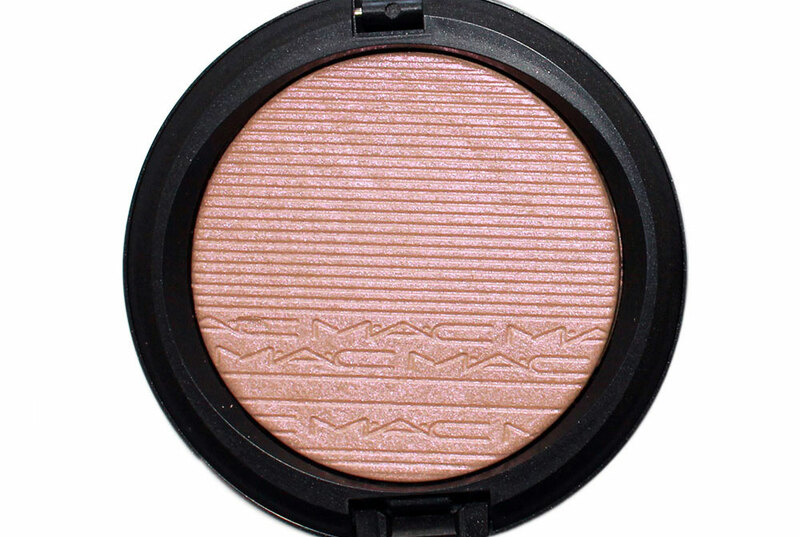 MAC Extra Dimension Skinfinish is available at M·A·C stores nationwide and nordstrom.com for $33.